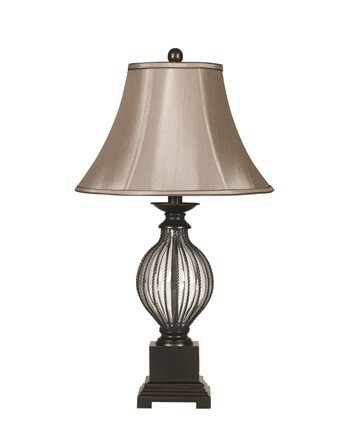 Sheer beauty on a pedestal. 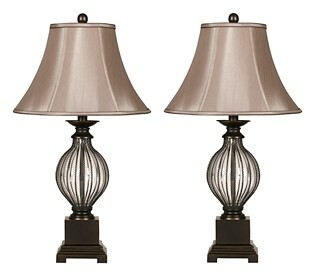 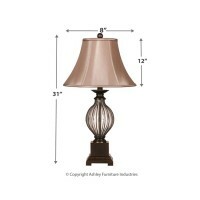 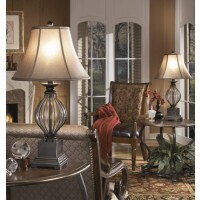 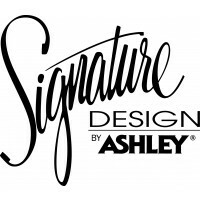 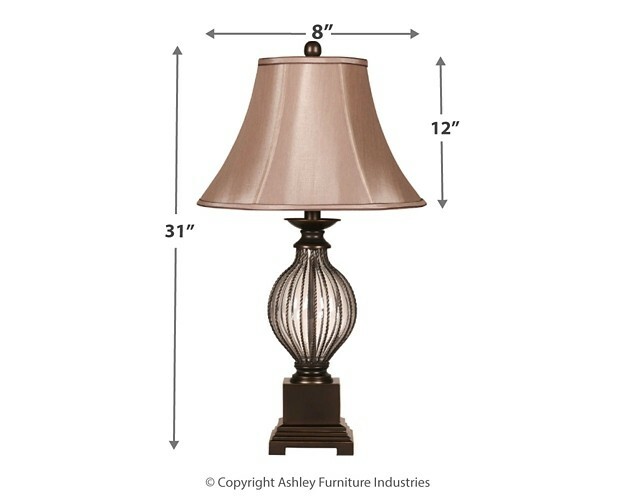 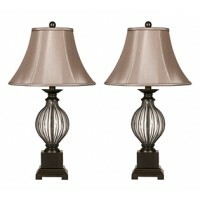 These table lamps stand out for their structural lines and sensual curves. 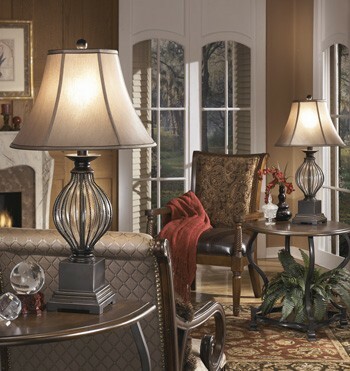 The glass onion-shaped centerpiece is accented with subtle beading for a touch of romance. 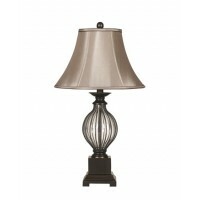 Bell-shaped shade in a satiny fabric shimmers and shines.